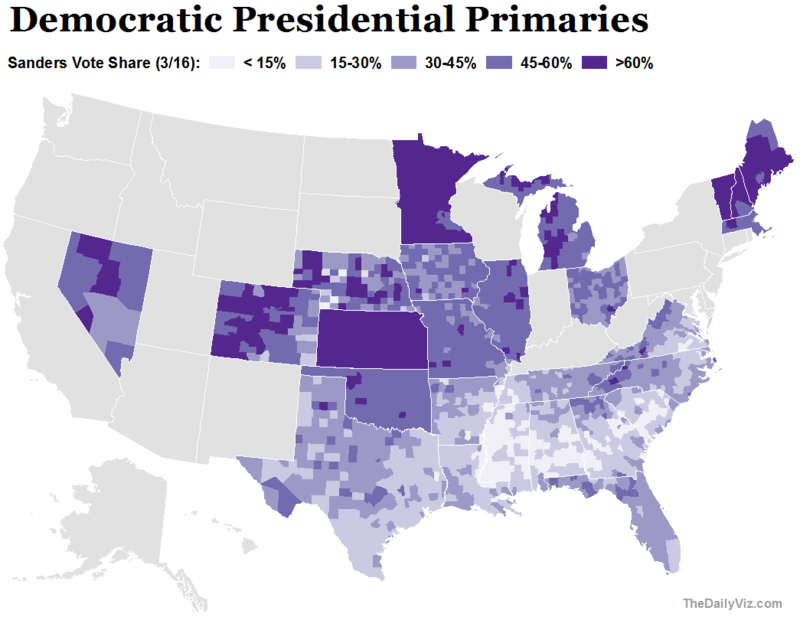 Hillary Clinton’s efforts to win over minority voters have paid off significantly in the Democratic primaries. Many of these voters simply aren’t feeling the Bern, according to voting results and demographics data from the U.S. Census Bureau. Since January, Clinton and her main rival, Vermont Sen. Bernie Sanders, have faced off in 26 states, pulling about 15 million votes from 1,900 counties and county equivalents. (Votes in two states, Kansas and Minnesota, were calculated at the congressional district level). 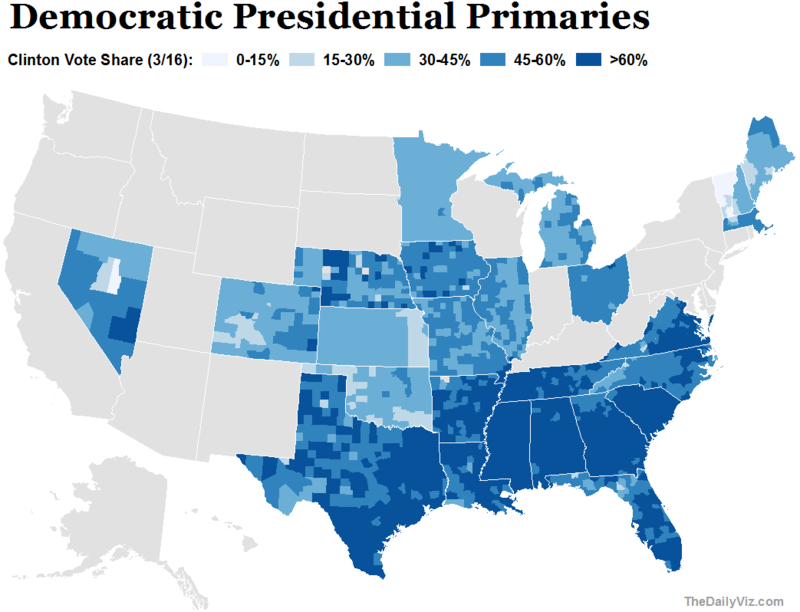 Roughly 250 of the counties contested in the Democratic race are majority minority, meaning non-Hispanic whites there represent less than half the population. The majority in those places is as follows: Blacks (91 counties), Hispanics (64 counties) and Native Americans/Alaska natives (1 county). Another 93 counties have no ethnic or racial majority, making them quite diverse compared to much of America. Clinton won all but seven of these majority minority counties. Of course, none of this is a surprise. Black voters in overwhelmingly side with the Democrats, and Clinton is the Democratic front runner. But it’s interesting, I suppose, that Sanders hasn’t done better.